We do know that there are four times as many boys with autism than girls, but is that increased number due to boys being more predisposed to having autism or girls being under-diagnosed? Current theories lean to girls wanting to be more social and will try to be part of a group even if it is awkward. Boys on the other hand tend to be more isolative. These natural tendencies make it more likely that a boy with autism will be diagnosed earlier than a girl and this early diagnosis may be beneficial in the long run. Girls are also more adept at “social camouflage”. Social camouflage is defined as using specific techniques to appear socially competent and finding ways to prevent others from seeing their social difficulties. 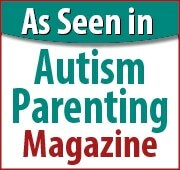 Girls with autism observed interacting in a group were noted to be close enough to look socially connected but there were no meaningful conversations or exchanges. They were hovering around the perimeter of the social exchange while boys with autism were noted to be far away from the group. Girls with autism were also noted to behave more appropriately and were quieter while boys exhibited more compulsive behavior. Preliminary findings suggest there are differences in the brains of girls and boys with autism. Brain imaging shows that girls with autism seem to have less of a disruption in the area of the brain that processes social information and may be more likely to understand social expectations, even if they can’t fully meet them. A late diagnosis of autism is a setback for any child. The PDQ-1 questionnaire developed at Rutgers University may help to diagnose a child as young as 18 months in as little as two minutes and the earlier the diagnosis and intervention the better the outcome. Does Geography Influence the Rate of Autism? Researchers have known that there is a strong genetic component to autism but autism is also found in clusters around the country. Certain communities and states have a much higher rate than the rest of the country http://graphics.latimes.com/usmap-autism-rates-state/. Autism rates are highest in the Northeast and on the West Coast and lowest among the Southern and Plains states. For example, a child born in California is several times more likely to be diagnosed with autism than a child in Alabama, but the question is why? The fact that clusters are found in certain geographical areas seems to imply a local, environmental cause. Looking at environmental factors is difficult because much of that information is undocumented. One would have to consider air quality, water quality, and energy resources. Several other factors to consider are income levels and ethnicity. One group of researchers compared the rate of male genital malformations with the autism rate with the suggestion that environmental toxins in the area were responsible for the malformation due to the high rate. They found the greater the amount of malformations in boys, the greater the autism rates in the area, suggesting a correlation between environmental factors and autism diagnosis. But then how does one explain the phenomenon of identical twins which have the same genetic and environmental information but one twin has autism and the other does not. When looking at such correlations, it is important to keep in mind that correlations do not mean causation, particularly when looking at the broader pictures. For example, one cannot assume that just because alcoholism rates are high in a city with high suicide rates that one is causing the other. The theories on causation and rise of autism rates is complex and as research continues to make strides in the treatment, diagnosis and cure for autism it is important to keep in mind that autism is multi-factorial. Do You Know the Early Signs of Autism? No one wants to receive the diagnosis of autism and recent statistics reveal that autism is on the rise with 1 in 68 children now being diagnosed with autism. While diagnosis is on the rise, most children are not diagnosed until age 2. All evidence points to early detection and intervention as the most successful treatment option, but do you know the early signs of autism? Below are common signs that may indicate your child may be autistic and require further observation. 1. Delayed motor development – Parents love the milestones that their children achieve such as rolling over, crawling and walking. Any delays may warrant further investigation. 2. Repetitive or obsessive behavior – watch for unusual body movements with the hands or arms and unusual body postures. 3. Disinterest in other family members – Does your child look to you for comfort (eye contact) and extend their arms to be picked up? Lack of interest in bonding at an early age may lead to difficulty relating to others as they mature. 4. Unresponsiveness to their name and environment– Is your baby hard of hearing or simply not responding to verbal cues? Is your baby imitating sounds, smiles and facial expressions? 5. Lack of smiling – Does your child smile back and laugh? This should be normal behavior by six months of age. With any condition, your physician or a specialist can help you determine if further care is needed. With early detection and treatment children on the autism spectrum have the potential to lead full and rewarding lives.